A lecture about the Greek discovery of America will be presented by Dean Kalimniou on Thursday 6 July, at the Greek Centre, as a part of the Greek History and Culture Seminars. While the myth of Christopher Columbus' supposed, Greek descent is well entrenched in some circles, the history of the Greeks who travelled to America in the early years of European contact and colonization is truly remarkable. From the Northwest Passage, to California, Mexico and beyond, the Greeks have contributed to the exploration of America and even, the defence of Indian tribes. This lecture will assess those contributions and their place in modern Greek historiography, which sees the Greek presence in America as largely a late 19th to early twentieth century phenomenon. 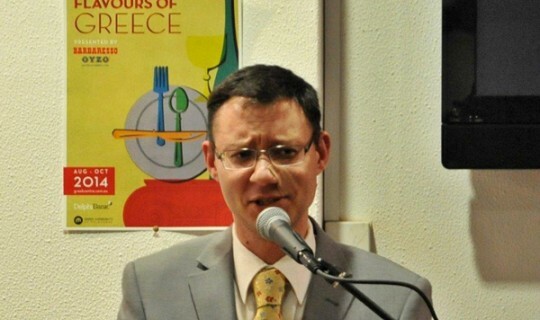 Dean Kalimniou is also a well-known poet and short story writer within the Greek community. As a journalist, he is popular within the Greek community of Australia through his column in the Melbourne Greek newspaper Neos Kosmos, entitled Diatribe, which has been running since 2001. He has published six poetry collections and has also translated numerous works of prominent Greek-Australian authors from Greek into English. In November 2007, Dean Kalimniou was awarded a Government of Victoria Award for Excellence in Multicultural Affairs.